Though House of Cards executive producer Rick Cleveland said that he doubted there would be a third season, Netflix has other ideas. Production on season two of House of Cards will wrap up soon and the 13 new episodes are expected to debut on Netflix in early 2014. What do you think? 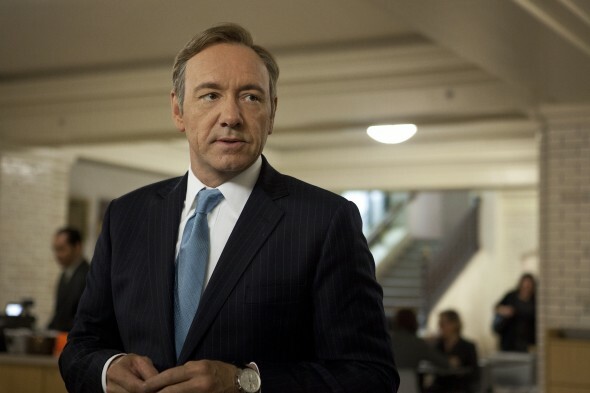 Are you hoping for a third season of House of Cards? Absolutely phenomenal series! I sincerely hope House of Cards will be renewed for several more seasons to come. Thank you for the excellent writing behind this series!! Actually looking for at least 4 seasons. Please Netflix make it happen! !